Established in the year 1974 by Dominic Chacko Kizhakemuri (popularly known as DC), DC Books is the largest vernacular publishing house in the country, with an annual publishing count of approximately 1,500 titles. The first publishing house to acquire an ISO certification, DC Books has always held quality content as a cornerstone of its foundation. A strong editorial team has been a hallmark of DC Books, focussing on experimenting with new formations in literature and identifying new writers and providing them a platform for publishing. Many acclaimed authors such as K R Meera,Susmesh Chandroth , Santhosh Echikkanam, Vinoy Thomas, Sonia Rafeek etc have all had their works first published under the DC Books brands. An organization which has a strong market presence , DC Books has successfully promoted its authors and has prominent titles crossing over 100,000 copes in a short span of time. 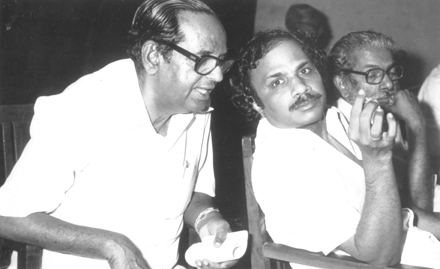 Evergreen classics published by DC Books such as ‘Khasakinte Ithihasam’ – O V Vijayan which still remains on bestseller list even a decade after its first edition was published. The same title has been translated into French and other international languages. Engaging readers at every juncture DC Books holds author interactive / reading sessions at many of its retail store chains across. Every year DC Books promotes and conducts Writing Competitions to enable itself to tap into the vast pool of young and budding writers. Many prominent writers today have broken through to the literary world through such competitions. DC Books has known also to promote its writers to innovate and produce new forms of their work. Acclaimed writer Arundhati Roy, published her first non-fiction work ‘End of Imagination’ under the DC Books label. The idea of having a non-fiction book published was mooted by DC Books. 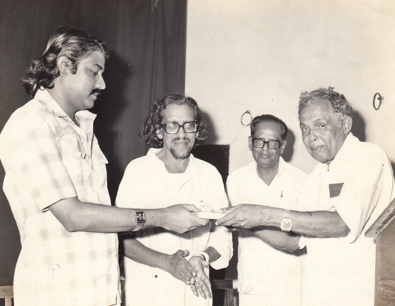 Over the years books published by DC Books have won many accolades including the Jnanapith Awards, Kendra Sahithya Akademi, Kerala Sahithya Akademi, Vayalar Awards and many more. A publisher with high standards of production, the organization figures prominently in the annual national awards constituted by the Federation of Indian Publishers. DC Books has also been instrumental of bringing authors from around the world to vernacular languages and has the largest number of translations into vernacular languages in India. Many internationally acclaimed such as Gunter Grass, Simone de Beauvoir, Orhan Pamuk, Kazuo Ishigoro etc have all had their works translated into Malayalam by DC Books. A renowned publishing house, many international authors have their books released in Malayalam under the DC Books brand. Books for translations are carefully handpicked by an expert team. DC Books holds the unique distinction of having the translated version in print of most international awards winners (Nobel Prize for Literature, Man Booker Prize, Pulitzer Prize etc) at the time of the announcement of the award. Many international and national level authors prefer to have their copyright agreements for translations directly with DC Books rather than going through their agents or publishers. 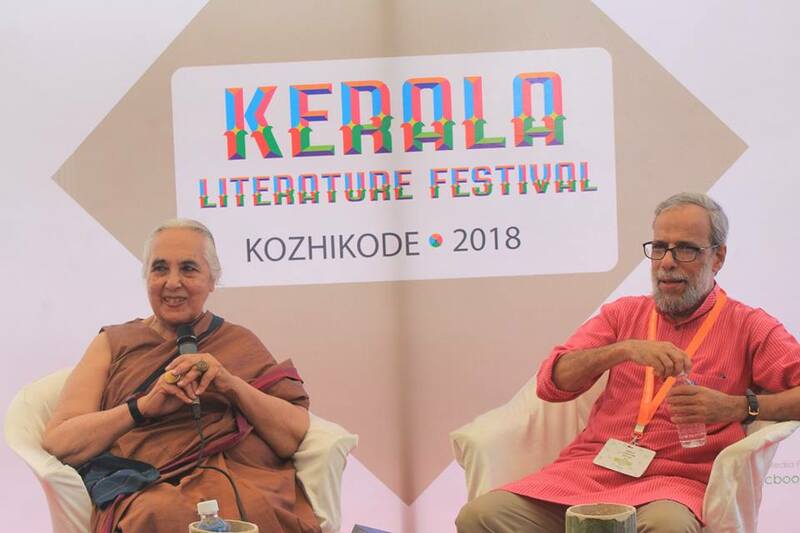 Acclaimed historians Romila Thapar and Rajan Gurukkal in a discussion at the Kerala Literature Festival. A huge array of nationally acclaimed authors too have their works from other languages translated to Malayalam. Literary stalwarts such as Shivaji Sawant (Marathi), Pratibha Ray (Odissi), Perumal Murugan (Tamil), Bimal Mitra (Bengali), Gauri Lankesh (Kannada) have had their works translated into Malayalam through the DC Books brand. 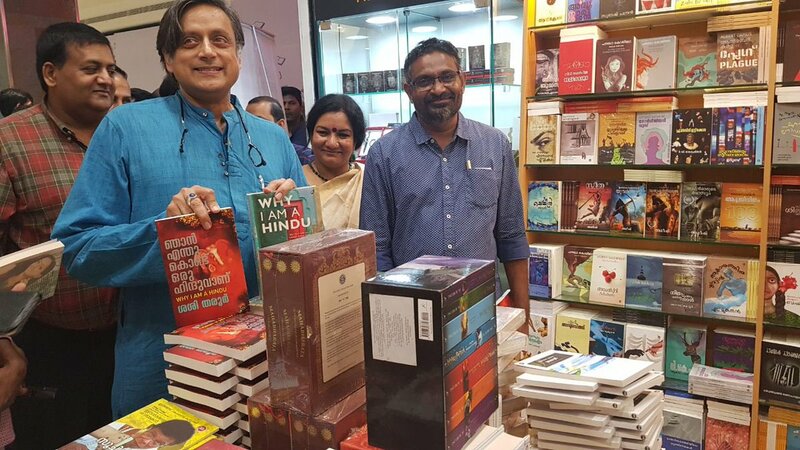 Prominent authors such as Arundhati Roy,Taslima Nasrin, William Darymple, Shashi Tharoor,Chetan Bhagat, Ravinder Singh, Savi Sharma have all had reading sessions in various DC Books Stores over the years bringing readers a rare opportunity to interact with authors. Apart from these DC Books is instrumental in organizing 2 international book fairs in Kerala in which connoisseurs of literature our exposed to vast range of national and international collections and events in which renowned authors have events for book launches , book reading sessions and interactions with the general public.